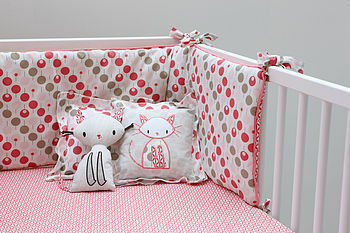 Highly practical and gorgeous looking cot bumper - perfect to welcome a new baby home! 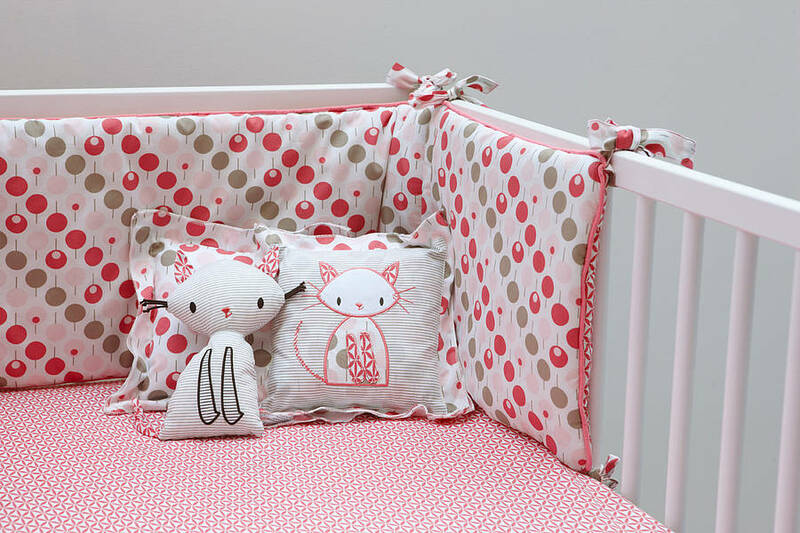 It ties on to the cot frame and has a different design on each side, giving you two bumpers in one. The bottom sheet is fitted for standard cots and patterned in a complementary coloured geometric print pattern, setting off the bumper wonderfully.